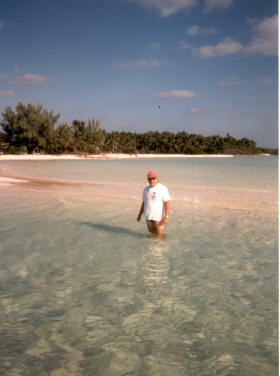 Island hopping is one of the fun activities in the Abacos. You can do this in any kind of weather since all of the islands are close together and you can get to them in the protected waters of the Sea of Abaco. If you go on one of our many beautiful sunny days, you can stop along the way and swim and snorkel. 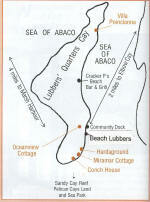 The settlement of Hope Town on Elbow Cay is a short 10 minute boat ride from “Beach Lubbers”. Here you will find the Harbour View Grocery Store, Vernon’s Grocery, a liquor store, fish market, post office, numerous waterside restaurants, gift shops, boat gas & supplies and the famous Candy Striped Lighthouse. 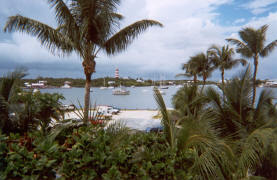 Man-O-War Cay is noted for their boat building and wood working businesses. It is an interesting island to visit. 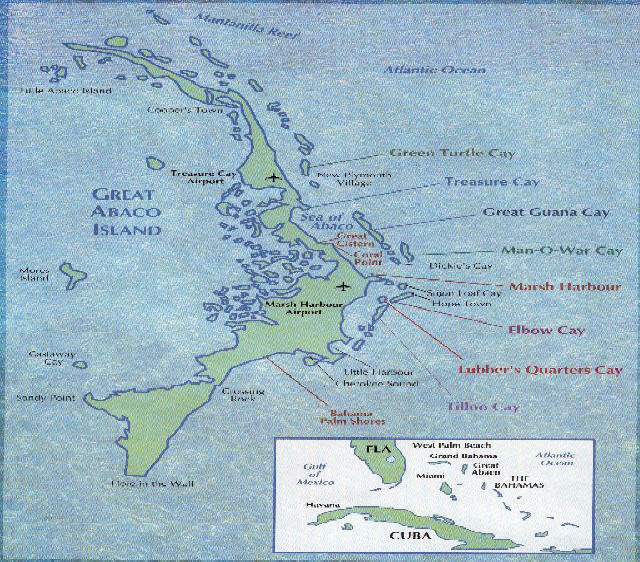 A point of information is that Man-O-War is the only “dry” island. They do not sell or serve alcoholic beverages and ask that if you browse their streets and shops that you wear shirts or cover-ups over your bathing suits. 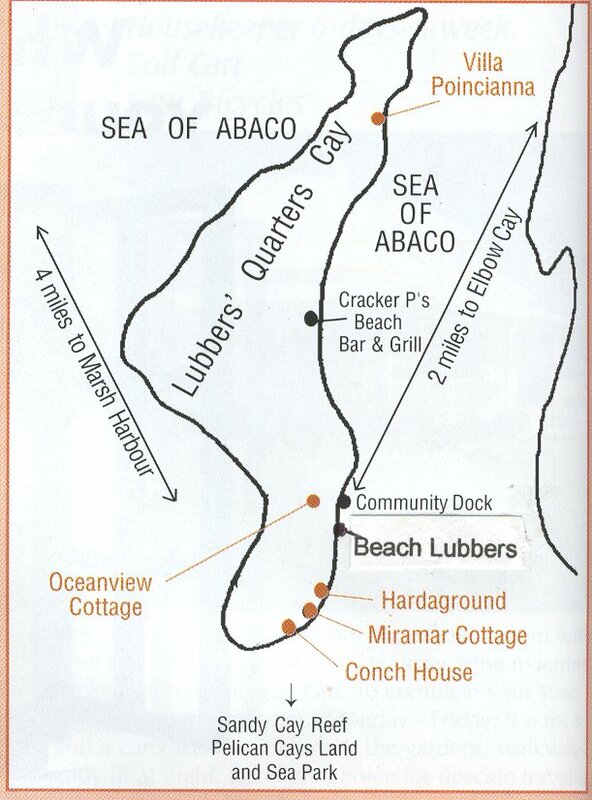 Guana Cay is the home of the infamous “Nippers Bar and Grill”. 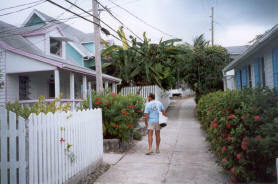 This is a quaint island with just a few shops and is almost totally known for “Nippers” and their Sunday pig roast. They have live music, a beautiful view of the ocean and a gorgeous beach to swim and snorkel from. From “Beach Lubbers” on another day you can island hop South. There are no commercial establishments except at the very end in Little Harbour where there is Pete’s Pub which serves liquid refreshments and a limited selection of food items. There is also a foundry where they make cast bronze items. There is a lot of history to this place and the family that started it. Ask the locals for info. 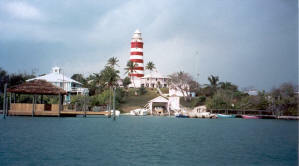 It is approximately a 15 mile boat ride in the Sea of Abaco so you will probably want to make this an all day trip. 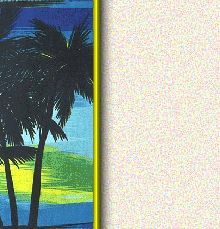 There are several deserted islands and beautiful beaches along the way where you can stop and beachcomb or take a swim. DON’T MISS THIS ! The Purple Isles Network, Inc.